Hi everyone! I hope you’re enjoying the summer and have an opportunity to participate in your various pastimes, including stamp collecting. What follows is a brief update on the activities of The Royal Philatelic Society of Canada/La Société royale de philatélie du Canada (RPSC). The annual Royal Convention held in St. Catharines, Ont., in late June was a great success. Helpful dealers, committed volunteers, outstanding exhibits, informative seminars, an annual general meeting, an awards banquet with excellent food and renewed and new friendships involving the discussion of philately—a great way to spend one or more days! Plans are well under way for Royal/Royale 2019, which will be held next June 21-23 in Mississauga, Ont.. The RPSC hopes to see you there! The Volunteer Recognition Program is intended to recognize individuals who have made a significant contribution to philately as a member of The RPSC or a member of an RPSC Chapter or Affiliate. Full details of the program are forthcoming, but the following is essentially a synopsis. Any living member of The RPSC plus any living individual who is a member of an RPSC Chapter or Affiliate is eligible for the program. Fellows and Directors of The RPSC are not eligible. The criteria for the nomination for recognition will be left entirely to the discretion of the nominating Chapter or Affiliate of The RPSC. Any Chapter or Affiliate may forward the names of any number of nominees at any time of the year. The nomination will be forwarded to The RPSC Awards Committee, which will immediately prepare and send the Certificate of Thanks to the Chapter for presentation. Each award will be recognized by a Certificate of Thanks from The RPSC. A current member of The RPSC will receive a 25 per cent discount off of one year’s annual membership dues in The RPSC. Recipients who are not and have never been RPSC members will be eligible for a 50 per cent discount off of a one-year membership in the RPSC. Recipients who are Life Members of The RPSC will receive a Certificate of Thanks only. The name and details of each recipient’s contributions will be reported in The RPSC’s electronic newsletter. Do you wish to share your knowledge of philately with others? 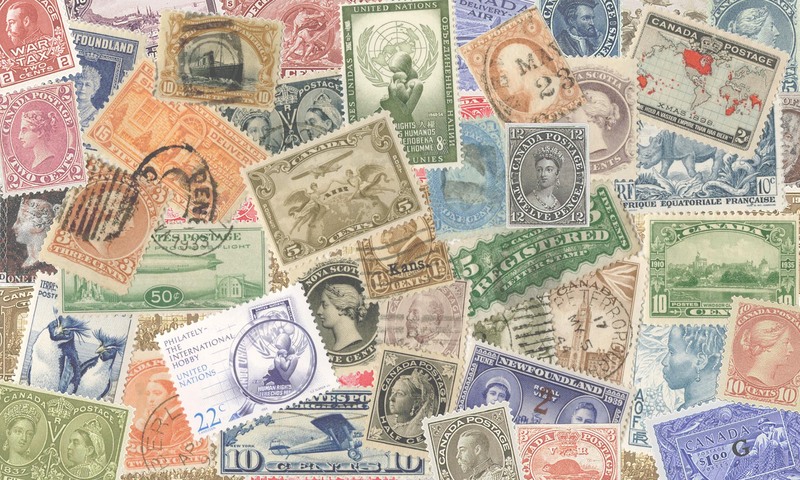 Please consider taking your time to write an informative and scholarly piece for The RPSC’s flagship bi-monthly publication, The Canadian Philatelist. Please contact our esteemed editor Herb Colling (hacolling@cogeco.ca) or a member of our talented editorial board, which includes Gray Scrimgeour, Richard Gratton, Rob Timberg and Francois Brisse. The RPSC is interested in seeing more collectors attend RPSC chapter meetings. We hope the newsletter will assist in this regard; it will contain details of upcoming chapter meetings, including the names of speakers and locations. Even if members cannot attend meetings, they may learn of interesting topics and be able to source presentations from those who volunteered to share information. Please send us details of upcoming meetings, locations, speakers and topics. We are fortunate to have Robin Harris as our webmaster. The RPSC hopes to continue to provide members and non-members with current information about the society’s operations and topics in philately. If you have done a PowerPoint presentation on philately for a chapter meeting or organization and you think it would be useful for others to see on our website, please send it to us and we will consider it for publication on our website or as a presentation to be made available to other Chapters. Following the annual general meeting of The RPSC, there are 14 members on the board from across Canada. They are Ed Kroft (President), Sam Chiu (Vice-President), Arlene Sullivan (Secretary), Stuart Keeley (Treasurer), Jim Taylor (Immediate Past President), Rob Lunn, Rob Timberg, Doug McAndless, Michelle Cartier, Jean-Jacques Tillard, Lawrence Pinkney, Hugo Deshaye, Mike Walsh and Joel Weiner. The RPSC also appreciates and benefits from the wisdom and continued assistance of Garfield Portch and past presidents George Pepall (Second Vice-President) and Charles Verge. The RPSC greatly benefits from the support of the Toronto-based Vincent Graves Greene Philatelic Research Foundation and the assistance of RPSC National Office Executive Assistant Margaret Schulzke. Please feel free to visit the Greene Foundation’s Harry Sutherland Philatelic Library during its regularly scheduled hours. The RPSC also thanks the many volunteers who work on national committees and at various national and regional shows as well as at chapter meetings. Keep up the great work! The Members of the Board of Directors will be continuing to work on strategies to gradually implement various components of the strategic plan, its vision statement and the objectives set out in the last newsletter. The RPSC will need the help of its members to do so, so we hope members will assist wherever possible. The RPSC has a committee that deals with the accreditation of philatelic judges in Canada. I wish to thank David Piercey for his outstanding work and mentorship for many years as chair of this committee. David will remain as a member of the committee but has passed the chairmanship reins to Joel Weiner, who is in the process of contacting judges. Do you have any ideas to improve The RPSC? Do you want to volunteer or help recruit new members? With your assistance, The RPSC will continue to be Canada’s national stamp club. Please feel free to contact me via email at e.kroft@shaw.ca.